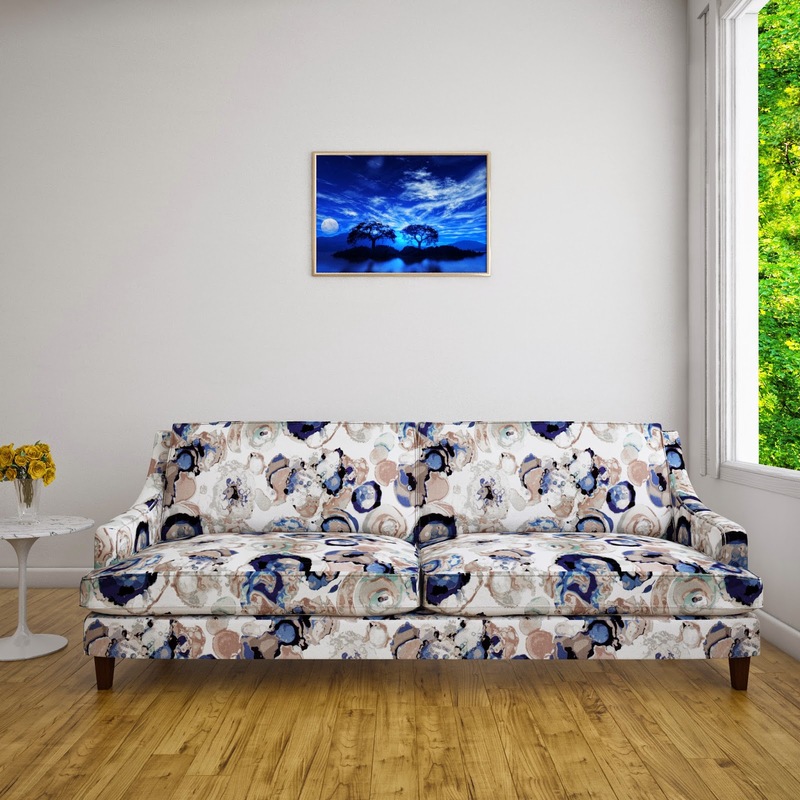 Sure, a couch or sofa is quintessential to every living room but that is not the only reason why it is such an integral part of home furnishing. Sofa has a certain chameleon like quality that enables it to be used in varied ways by different people.While some like utilizing the comfort of the soft fabric padded with foam and laden with cushions for napping; others stick to the more formal use of sofa for socializing and entertaining the guests. Any dog lovers out there, you know how your dog loves nestling against you on the sofa. Hence, there is no one perfect couch for everyone. Yet, there are things that you must look for in a sofa before buying one that fits your needs. If you are looking for a durable and long lasting couch, begin by looking for a robust and firm frame. Frame is the skeleton, the very backbone of the sofa, to which all the other upholstery elements are attached. A frame made of solid seasoned hardwood timber provides better support than unseasoned hardwood. Seasoning the wood removes the moisture from the wood; thereby increasing its tensile strength and making it less prone to distortion. If frame is the skeleton then suspension or webbing is the system of cartilages and muscles that run under the skin. 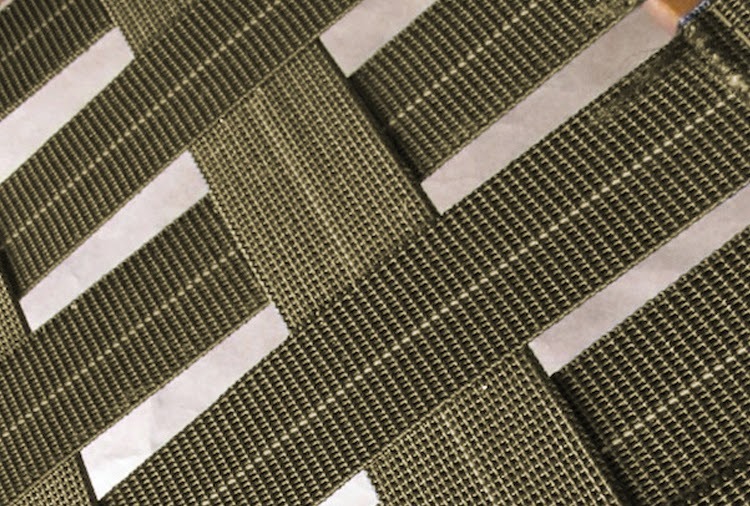 It is called webbing because it comprises the fabric woven like a mesh to provide a strong and steady base to support the next layer of the upholstery components. While selecting the webbing, ensure that it provides elasticity and reinforces the areas that are prone to flex. Most commonly used webbing's are Black & White English, Jute, and Pirelli webbing. Black and White English webbing derives strength from its cotton herringbone weave; therefore, recommended for seating. Jute webbing is done with jute and is used for arm and back webbing but is not recommended for seating. Pirelli webbing is done with rubber and is usually used for the seating base. Now that the basic layout of the sofa is complete, we move to the element of the sofa that personifies comfort. Foam is a popular choice for stuffing and padding the sofa. Choose the foam that is robust, malleable and can be easily molded into complex designs. 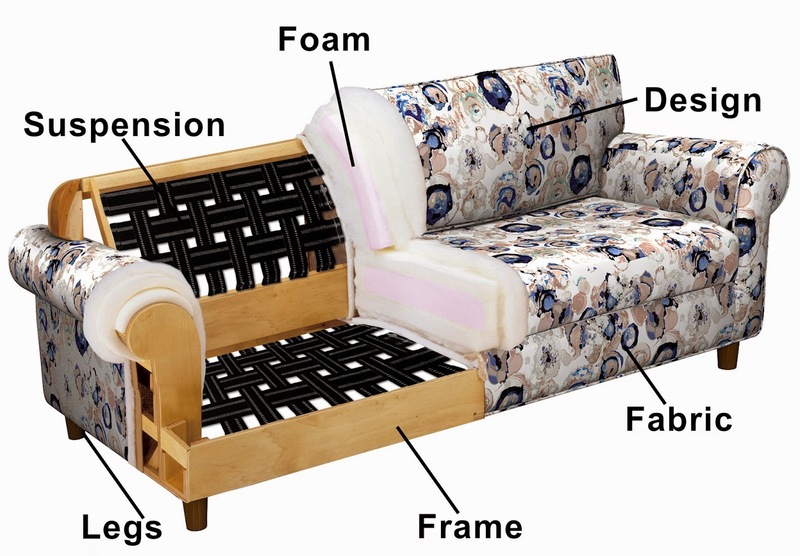 Reflex foam is widely used for filling the sofa. It is available in soft, medium, and firm densities. The soft density is used for cushion backs because it gives the soft feel while retaining its shape unlike the fiber or feather cushions. The medium and firm density foam is a popular choice for seat cushions as it maintains its original shape after years of use and provides profound comfort. The importance of the fabric cannot be stressed enough. It is the part of the sofa that is most visible, comes in constant contact with you, and is subject to abrasion. While choosing a fabric according to your taste and preferences, also be mindful of other aspects like durability, feel of the fabric, and number of rubs it can sustain. You might also want to know which fabrics are easier to clean and resistant to dust or stains. While the appearance of the sofa is crucial but the feel of the design that provides your body comfort gets the foremost consideration. Sofa is a place where you unwind and muse after a long day at work. You do not want your reverie to be disturbed by an awkward and cramped design of your furniture. 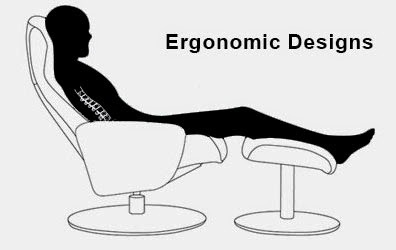 Choose an ergonomically designed sofa that relaxes your muscles, supports your back at right places and provides you long term comfort. The best designed sofas are soft yet firm at the same time. 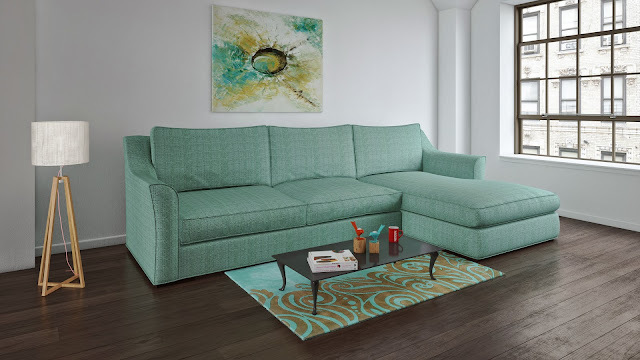 Now that you know the basics of shopping for that cozy giant in your living room, make a list of things you want in your sofa and we at customfurnish.com will deliver you the one that will best fit your needs.